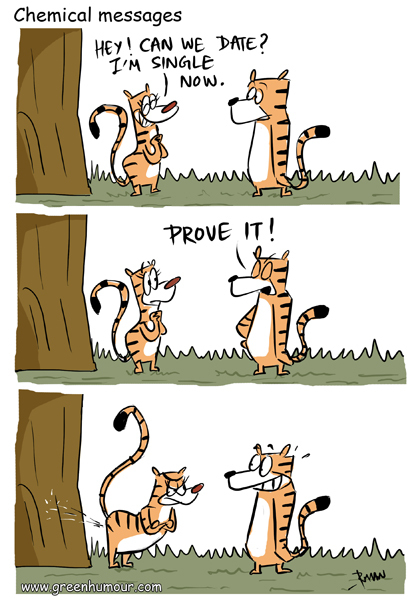 Communication in the tiger world depends heavily on chemical messages. Sniffing scent and urine can tell a tiger if a rival male means business on his turf or if a tigress he has the hots for is available for a fling or not! Since the cartoon is a little racy for any of my publications to pick, I thought I'd simply run it here. If you're into 'this kind of stuff', I have prints in A3 for sale, that can be ordered by writing to me at rohanchakcartoonist@gmail.com.